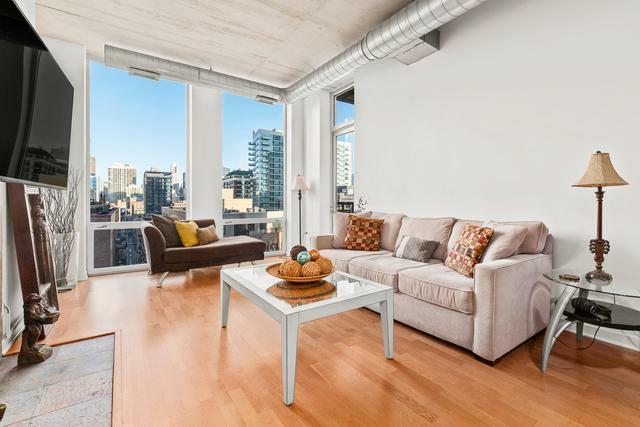 Enjoy the Chicago skyline in this 2 bedroom, 2 bathroom loft in an impeccably managed building! 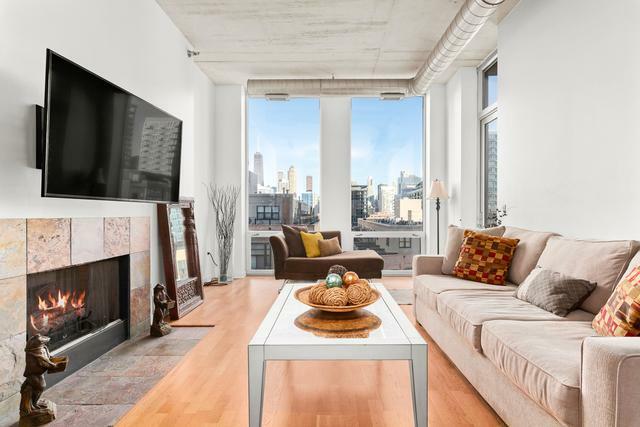 Floor to ceiling windows in the common area and master bedroom showcase stunning eastern skyline views. 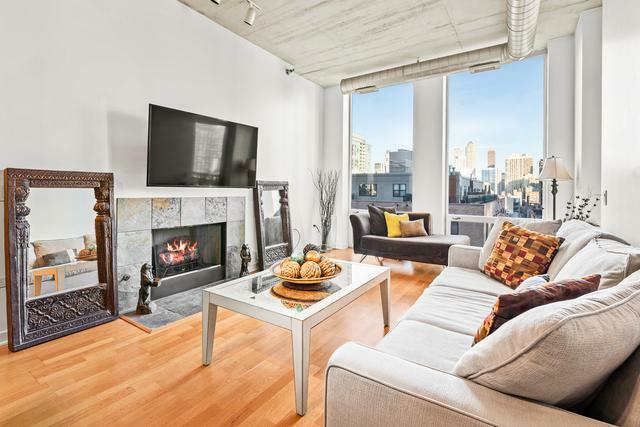 The open kitchen, living area, and private balcony are perfect for entertaining with all stainless steel appliances and gas fireplace. Step out onto the private balcony from the main living area. Garage parking for additional $35k. The Two River Place Building is excellently managed in a peaceful location adjacent to Larrabee Dog Park, Ward Park, and river walk. 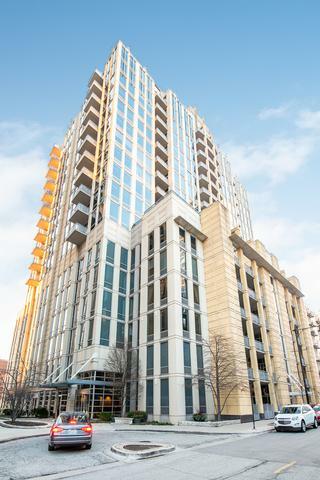 Walking distance to restaurants and all the best features of River North!